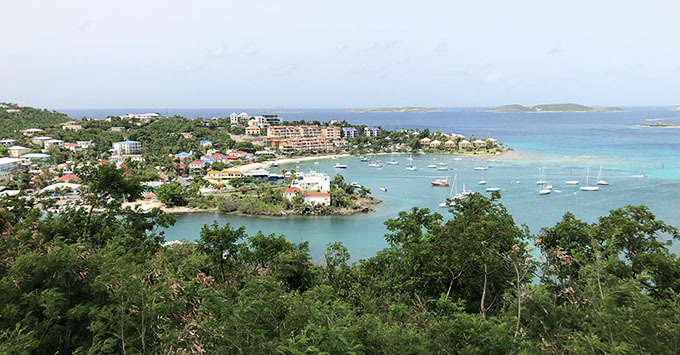 A cherished place for many cruisers, St. John -- just a 20-minute ferry ride from Red Hook dock in St. Thomas -- is also on the mend. While some trails within Virgin Islands National Park have reopened, many remain blocked by debris. Acres of mangroves became casualties of the storm, and due to the delicate nature of the ecosystem, they have been left where they lie, waiting for specialists to arrive and possibly salvage some of the undergrowth. We found a lone U.S. park ranger in the welcome center; these days the rangers seem to be a formality as the park itself heals and becomes more accessible to visitors. For the time being, the single ranger-led guided hike is not available; however, the trail they used -- Reef Bay -- has reopened. What you'll also find inside the welcome center is a series of colorful handmade masks lining the walls. This is part of a community-based art therapy initiative led by the Gri Gri Project to help residents of St. John and other islands in the USVI to heal after the trauma of the hurricanes. We explored another temporary exhibit space of the many masks in Mongoose Junction, but the project continues to search for a more permanent home. 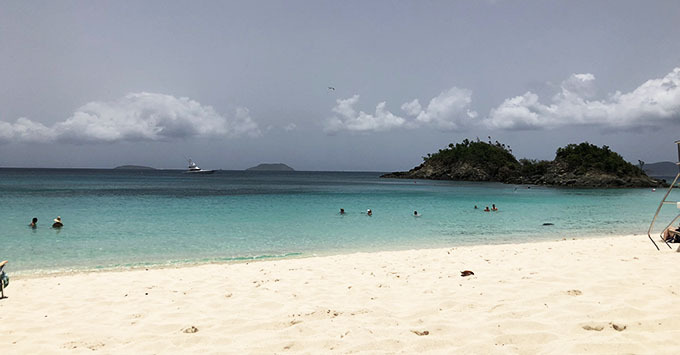 Trunk Bay is open, still providing stunning views above and below the water -- and temporarily free. A rentals desk lends out snorkels and other gear, bathrooms are functioning, but no snacks or drinks. Back in Cruz Bay, it's bustling. The shops of Mongoose Junction look pristine, and continue to provide unique shopping opportunities. One shop owner, of a boutique named Bamboula, said the stores reopened before the roof was even fully intact. St. John Brewers is once again expanding, expecting to open its upstairs brewery for tours in the next few months. The brewpub downstairs is fully open. Celebrity hangout Caneel Bay Resort withstood significant damage from the hurricanes and is currently in a lease dispute with the national park system that will prevent it from reopening for the near future. The same situation applies to the beach and campgrounds at Cinnamon Bay. If you would rather not risk an independent ride to the island, shore excursions to spend a day in St. John are readily available. Some provide transportation and a tour, while others might take you for a hike and swim along Honeymoon Trail (marriage not required). A lot of the recovery in St. John can only be left to nature. The fate of some of the island's much-loved properties remains in the hands of the park service while officials determine how to sustainably rebuild. Without a major cruise port, St. John retains its more off-the-beaten-path feeling. 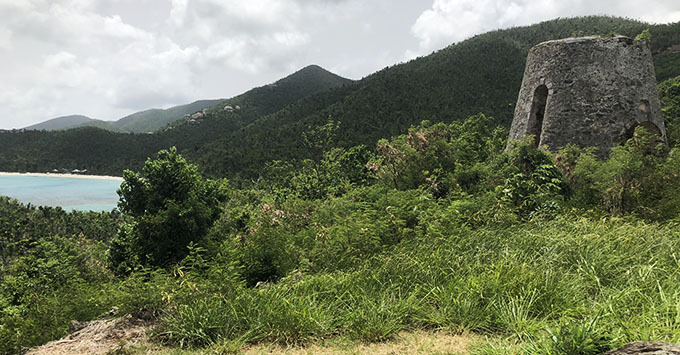 But the island is still accessible and worth the added trip; two major hurricanes haven't impacted its natural beauty one bit -- it still beckons cruisers to explore yet another unexpected side of the Caribbean.